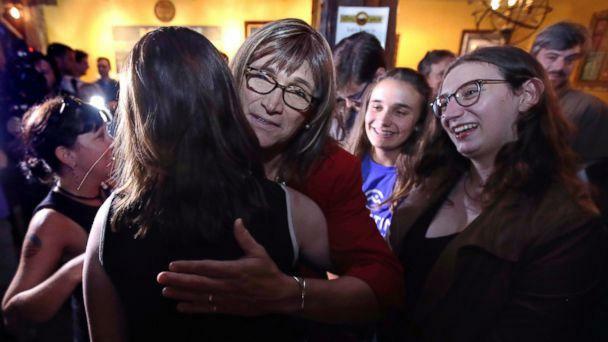 Christine Hallquist, who is running as a progressive Democrat in Vermont, made history on Tuesday as she became the first transgender gubernatorial candidate nominated by a major political party. Advancing a progressive platform focused on economic and social justice, including a $15 minimum wage, environmentally sustainable rural development and expanding access to internet services, Hallquist edged out challengers in a crowded primary. She led the field with 39 percent of the vote, according to unofficial results from the secretary of state at the time of The Associated Press projection. "I am so proud to be the face of the Democrats tonight," Hallquist said, addressing supporters at a victory party Tuesday night. Describing her push for education reform, a living wage, and Medicare for All, Hallquist said, "this is called being a civil society." She will face incumbent Gov. Phil Scott in November, whose approval ratings with his GOP base have tumbled following recent efforts to tighten gun control in Vermont. If Hallquist pulls off an upset in the general election, she will become the nation’s first transgender governor. 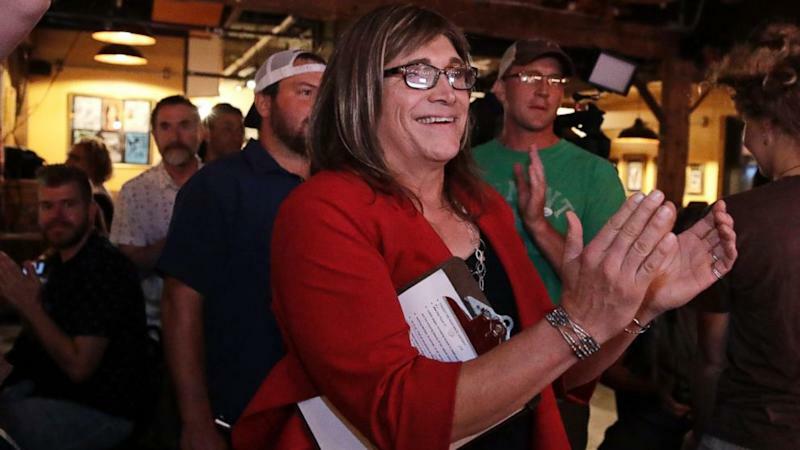 “Christine’s victory is a defining moment in the movement for trans equality and is especially remarkable given how few out trans elected officials there are at any level of government,” Houston Mayor Annise Parker, president of the LGBTQ Victory Fund, said in a statement. Hallquist joins three other openly LGBTQ candidates for governor this year -- a historically high number. Gubernatorial candidates Lupe Valdez of Texas, Kate Brown of Oregon and Jared Polis of Colorado, all Democrats, are out as LGBTQ. Following the AP projection, the Republican Governors Association (RGA) released a statement on Hallquist’s victory: “Vermont Democrats have selected a candidate committed to increasing the tax burden on working families,” RGA Spokesman John Burke said, referring to Hallquist’s plan to increase some property taxes. 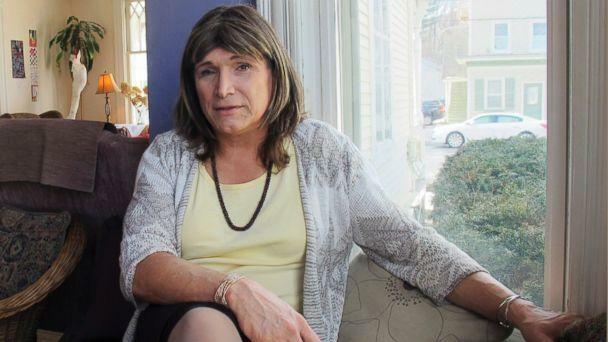 Hallquist is the former CEO of Vermont Electric Cooperative, a member-owned utilities group, and has stressed that while media coverage often focuses exclusively on her identity as a transgender woman, she wants to be seen as more than an LGBTQ candidate. Hallquist points out that she’s also an engineer, an innovator and a progressive. During her primary race, she received the backing of Justice Democrats, a progressive political action committee founded by former Bernie Sanders campaign leaders, including The Young Turks’ Cenk Uygur, which helped propel leftist superstar Alexandria Ocasio-Cortez to her victory over longtime New York 14th Congressional District incumbent Joe Crowley earlier this summer. Some commentators have dubbed the 2018 midterm cycle the "Year of the Woman" due to the record numbers of female candidates for elected office, and governor’s races have so far proved no exception: Out of 36 gubernatorial races in 2018, 21 likely have women candidates running, according to Rutgers’ Center for American Women and Politics. With general elections still to come, however, it remains to be seen whether Hallquist and other progressive women will sweep governor’s seats nationwide with a "blue wave."